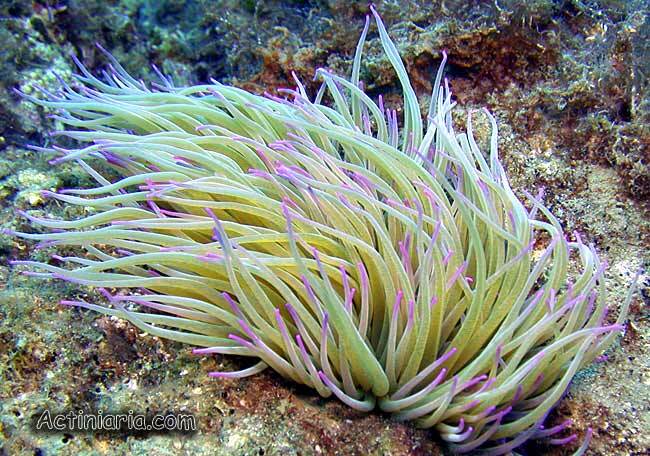 Anemonia viridis is characterized by short column and long green tentacles. Actually in most cases the column is completely hidden under the tentacles, and the species looks like a bunch of tentacles arising from substratum. This species is very common in Mediterranean and on south-west coasts of Europe. 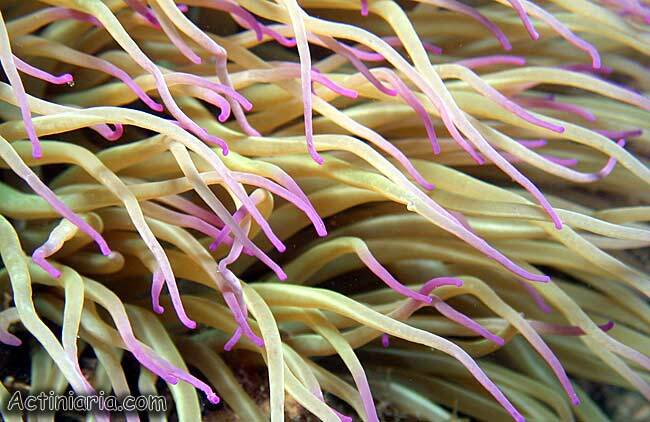 Anemonia sulcata is a synonym (invalid name) of this species.